This, my friend, is what we in the business call a “money shot”. If you have a Mexican friend in your life, and they haven’t introduced you to Cajeta, you need to have a hard talk with them. Anyone who would keep this secret from those they love is suspect. I’m just saying. As you can see, I’m not suspect. I’m cool peoples. That’s why I’m sharing my recipe for this creamy, sweet-tart goat’s milk caramel. My love for you is deep. Besides the fact that it’s addictive as all get out, you mean? Well, it’s also because cajeta is relatively easy to make, it has a unique taste, and it’s versatile. I’ve poured, dipped, scooped, and eaten it straight out of the jar. More times than should be acceptable by respectable society, I must confess. This goat’s milk version of caramel takes on the tangy richness you’d find in a glass of goat’s milk. It can best be described as an earthy sweetness. It’s difficult to label this, though, because of how unique cajeta truly tastes. 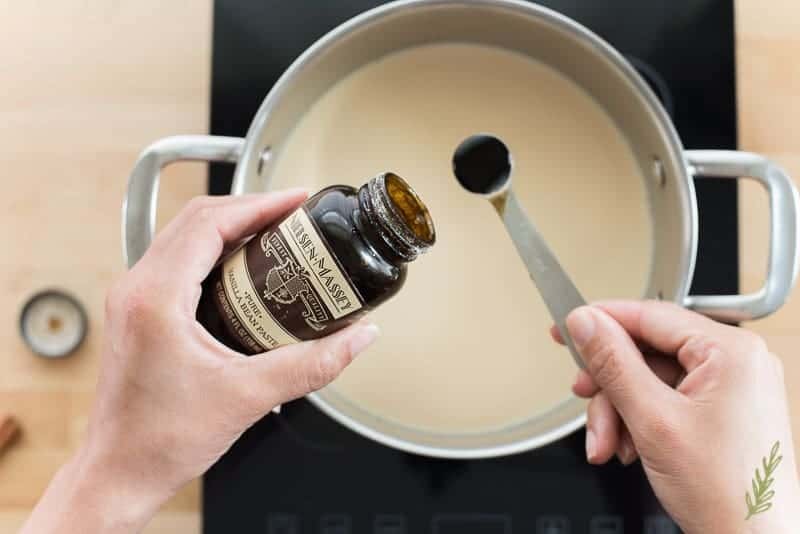 All you need for the sauce is a couple cans of evaporated goat’s milk, water, vanilla bean paste (or extract), sugar, cinnamon, and rum (or another dark booze). And a pot…a big one. I’ll explain why in a little bit. Oh! And a wooden spoon…and a bit of patience. You’ve got all that, I’m sure. The process is a straightforward one, but there is a time investment on your part. Because my family doesn’t drink goat’s milk on a regular basis, I make my cajeta using canned evaporated goat’s milk. You can absolutely use regular goat’s milk which you’d find in the milk section of your supermarket. You just won’t need to reconstitute it with the water like I do. Whichever form of goat’s milk you’re using, add it, and the sugar, to a large stock pot. 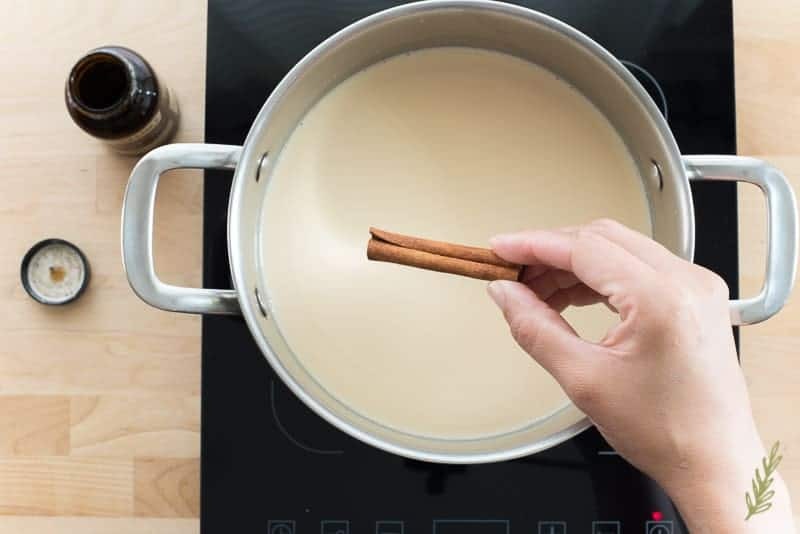 Add a cinnamon stick to the milk-sugar mixture in the pot. Also, add the vanilla bean paste (or vanilla extract), to the pot. 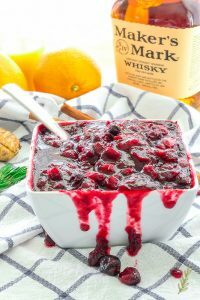 I like using the vanilla bean paste because it has a stronger flavor and it also adds those beautiful flecks of vanilla bean. Stir everything together using a wooden spoon. A wooden spoon is important because you’ll need to stir the cajeta often. A metal or plastic spoon could either become too hot to handle, or it may melt. 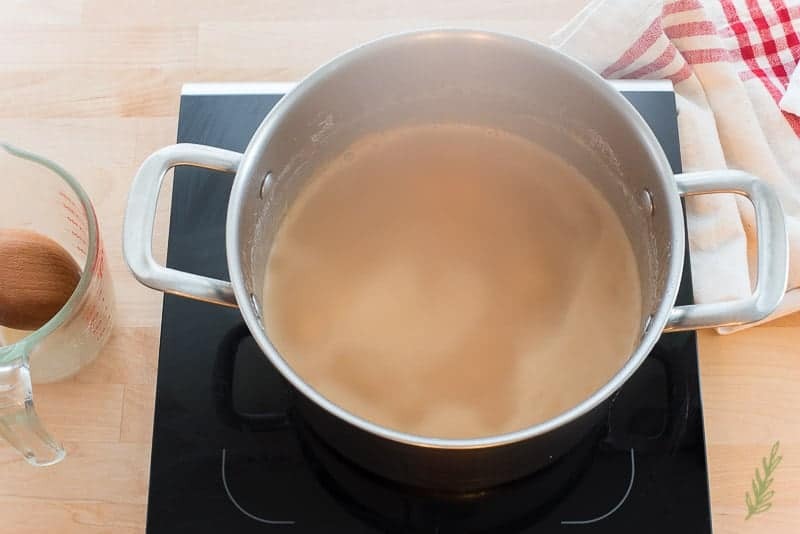 Bring this to a simmer over medium-low heat, stirring frequently to dissolve the sugar. I like being sassy. Can you tell? We’re not doing LSD, friend, what we are doing is causing a chemical reaction in the cajeta. That smooth texture you taste in caramel is the result of the baking soda that’s used in the preparation. The soda reacts with the acid found in the goat’s milk and creates bubbles of carbon dioxide which then get trapped in the sauce. When cool, the little bubbles create that smooth texture caramel is so well-known for. 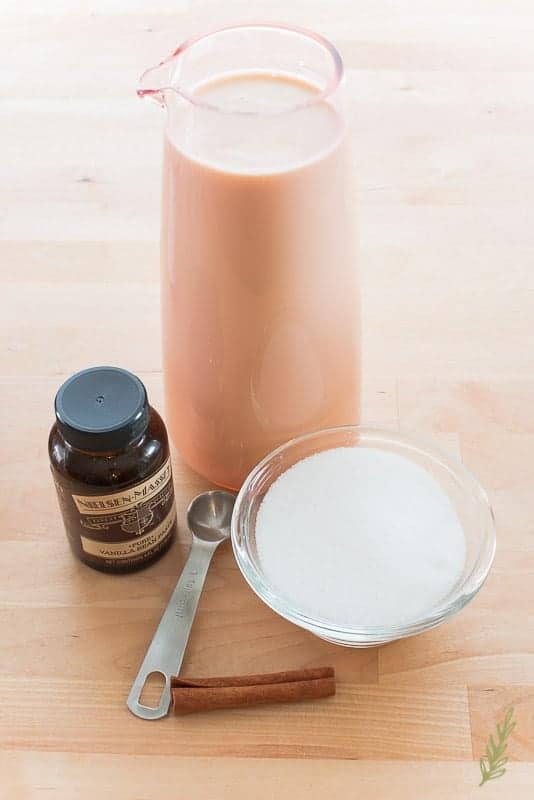 To create the baking soda mixture, simply stir together spiced rum and baking soda in a small bowl. I use spiced rum because it gives the cajeta a little “oomph”, flavor-wise. Bourbon, cognac, brandy, or regular dark rum are all great substitutes. Or, you can also use water instead. 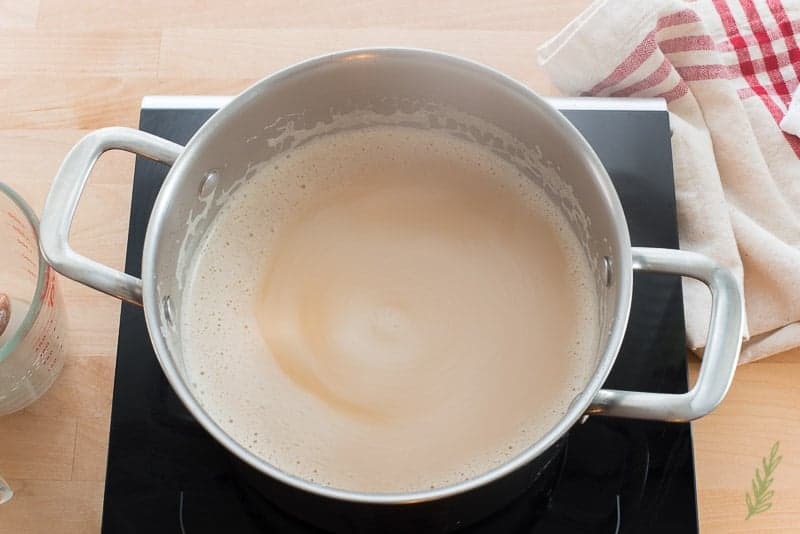 Once your goat’s milk has begun to simmer (don’t let it boil, or it may curdle), remove the pot from the stove. Stir in the baking soda-rum mixture. Be careful because the goat’s milk may bubble up rapidly now, or when you put it back on the stove. This is why using a pot larger than you think you’ll need is necessary. 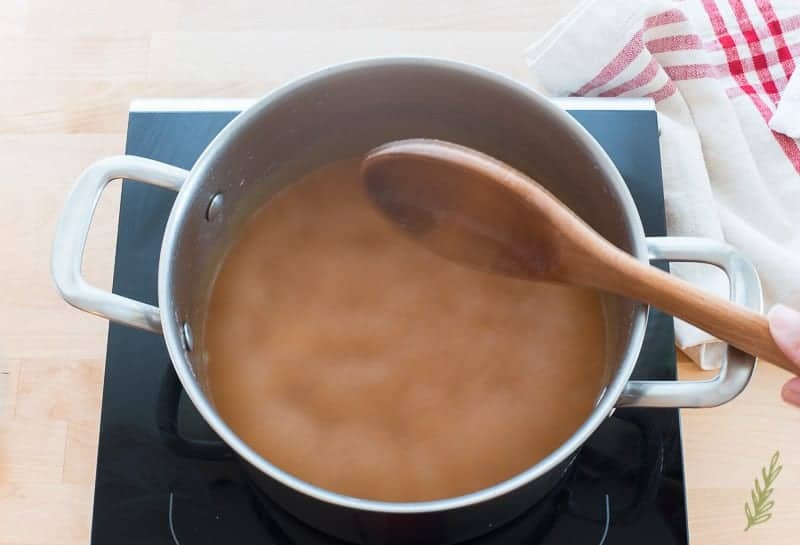 Return the pot to the stove and cook the cajeta over low heat, stirring constantly for the first two or three minutes. 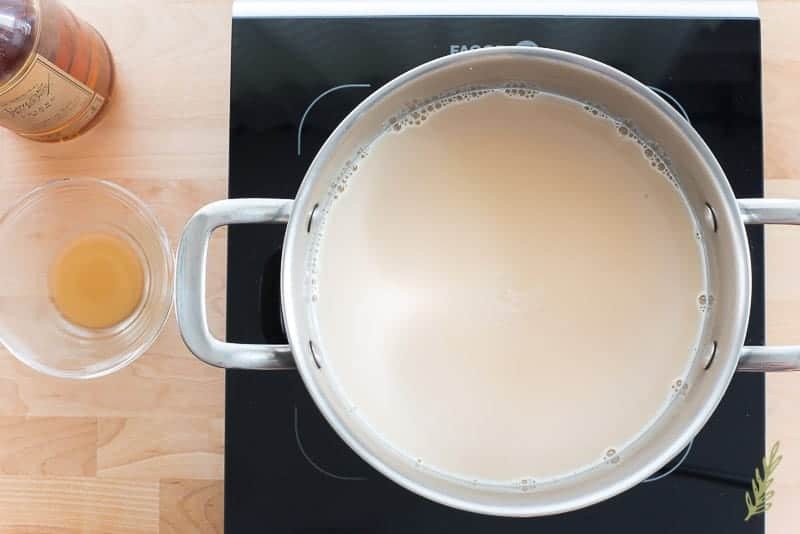 Once you feel confident that the cajeta is not bubbling up anymore, you can go longer without stirring constantly, but you need to stir it frequently. Don’t allow the cajeta to boil, either. You don’t want to rush the cooking process because you’ll more than likely end up with scorched cajeta. This process takes time, but is soooo worth it. Stir again. It may seem like nothing’s happening, but that’s quite the contrary. The two sugars (the granulated and the lactose in the goat’s milk) are slowly caramelizing and creating magic! See!?!?! WhadItellya? MAGIC!!! But keep stirring. After an hour, or so, your cajeta will have become a dark amber color and will smell malty. It will thickly coat the back of your wooden spoon. When you allow it to drizzle from the spoon into the pot, it will be thick. To test that it’s the proper consistency, drop some cajeta onto a clean plate and let it cool for a minute. If it is firm, and not runny, it’s done. 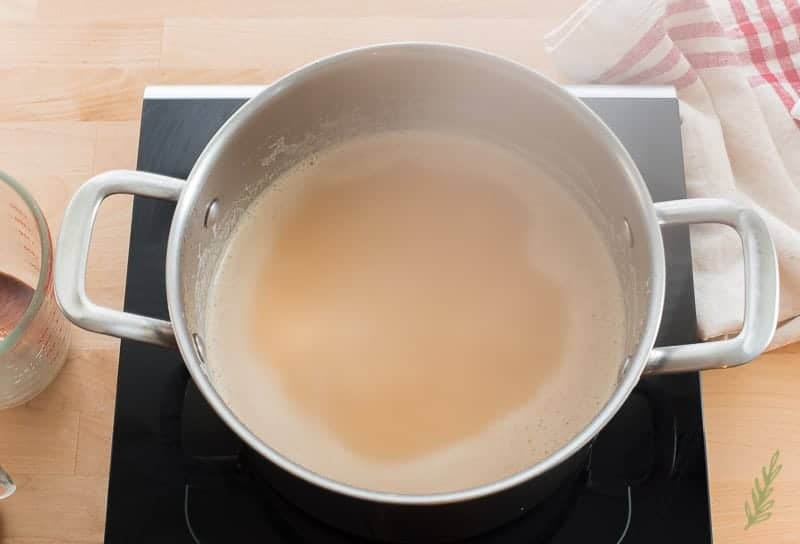 You can remove the pot from the stove and allow the caramel to cool slightly. Transfer your cajeta to a clean glass jar and allow it to cool completely before covering it with the lid. Cooling first prevents water droplets from forming on the lid and dripping back into the cajeta. Drizzle this stuff on er’thang! 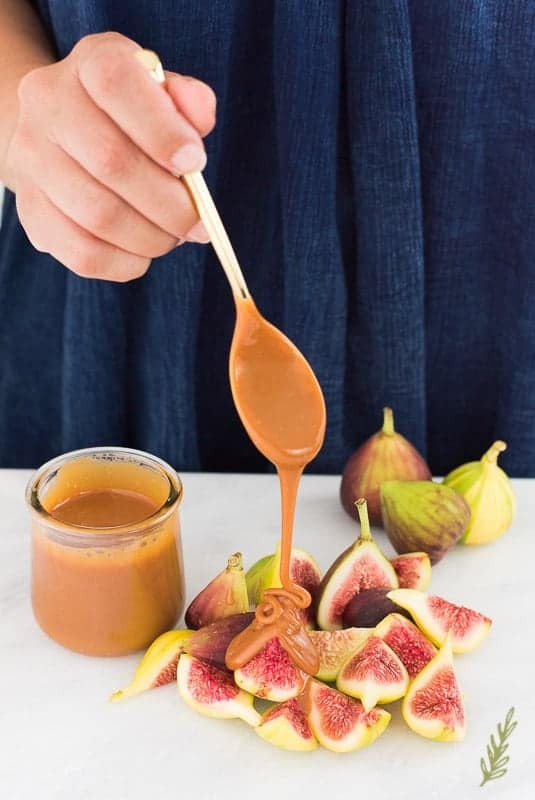 Figs are in season so a great dessert idea, for me at least, is drizzling cajeta on ripe figs. Of course, topping this Vanilla Frozen Custard with the Cajeta is money, too. Whatever you do, make sure you pin the recipe so you don’t lose it! Share this post with your friends and family, too. You know why? Because Cajeta makes a great holiday gift, so sharing is a subtle way of dropping them hints that you want some! now, if someone shared this with you, you may want to start making a batch…LOL!! Begin this luxuriously rich sauce a few hours in advance. Combine the evaporated goat's milk, water, and sugar in a 6 quart pot. Add the vanilla bean paste, cinnamon stick, and a pinch of salt, and stir to combine. 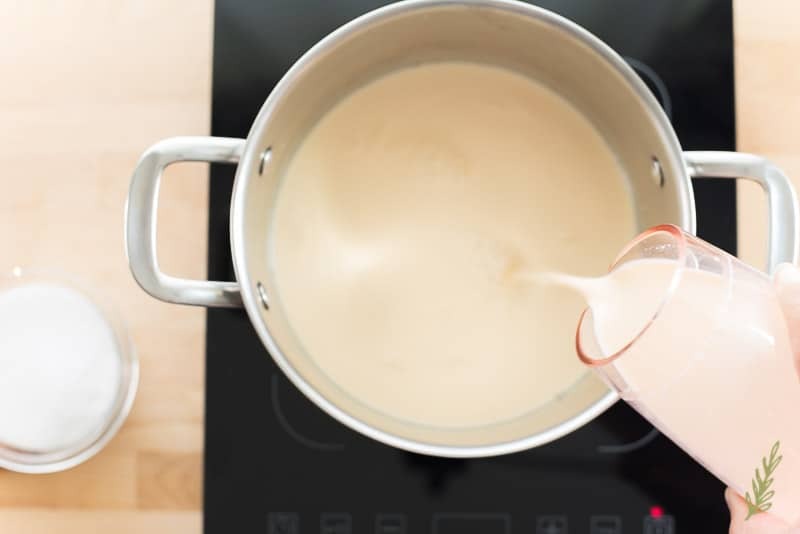 Bring this mixture to a simmer over medium-low heat, stirring frequently with a wooden spoon to dissolve the sugar. 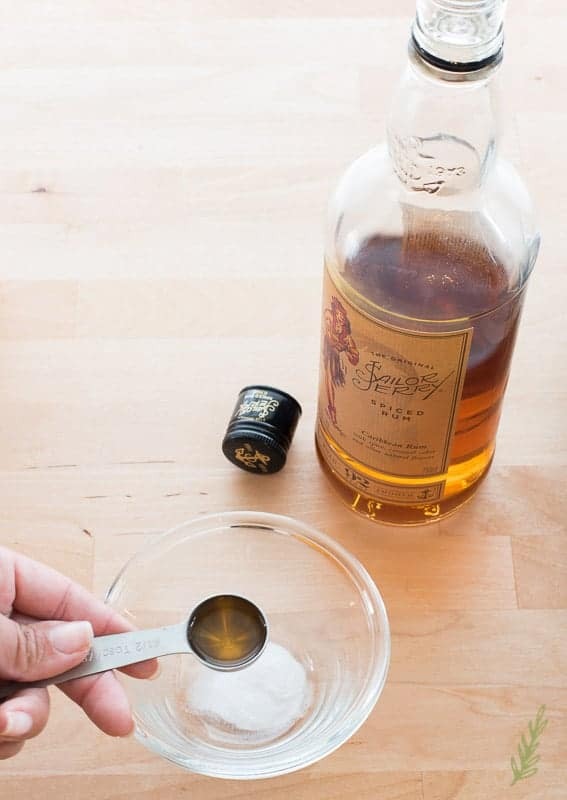 In a small bowl, stir the rum and baking soda together. Once your goat's milk begins to simmer, remove the pot from the stove. Stir the baking soda-rum mixture into the goat's milk. Be careful! The goat's milk may bubble up rapidly either now, or when you put it back on the stove. 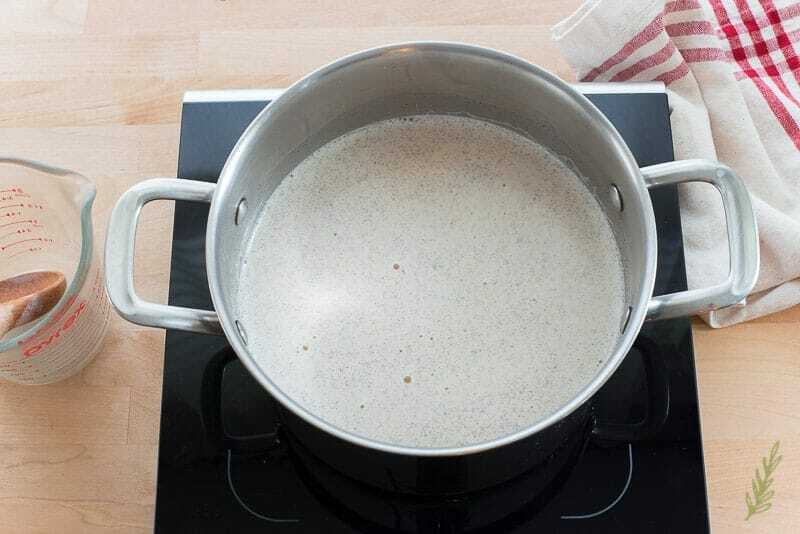 Return the pot to the stove and cook the cajeta over low heat, stirring constantly for the first two or three minutes. 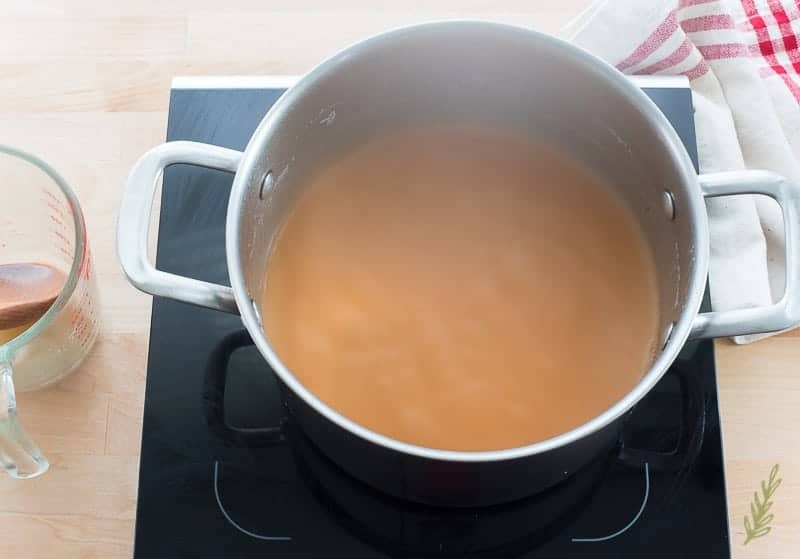 If you feel as though the cajeta is no longer bubbling up, reduce the frequency of your stirring. Stir for 1 hour to an hour and 15 minutes, or until the cajeta is a dark amber color and coats the back of the spoon thickly. To test that it's the proper consistency, drop some of the cajeta onto a clean plate and let it cool for a minute. When it is firm, and not runny, it's done. Remove it from the stove and allow it to cool. Transfer your cajeta to a clean jar and allow it to cool completely before covering it with the lid. This cajeta may be stored in the refrigerator for up to a week. If you are using whole goat's milk (not evaporated), omit the water. To warm the cajeta: Remove the amount you want to eat from the jar, and heat it in 30 second bursts in the microwave until warm. Cajeta, who knew? This looks so yummy and I have never used goat milk for anything yet…this looks like a fun way to start! This is the PERFECT way to start using goat milk, Susan! Oh, it’s my pleasure, Cassie! I hope you get a chance to try out the recipe! I’ve never tried goats milk (or goat cheese). I’m not sure why. It just hasn’t appealed to me. Give it a taste, Heather! I think you’ll like it! 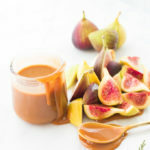 Oh my gosh, I really am craving some gorgeous fresh figs with that amazing Cajeta drizzled on top!! 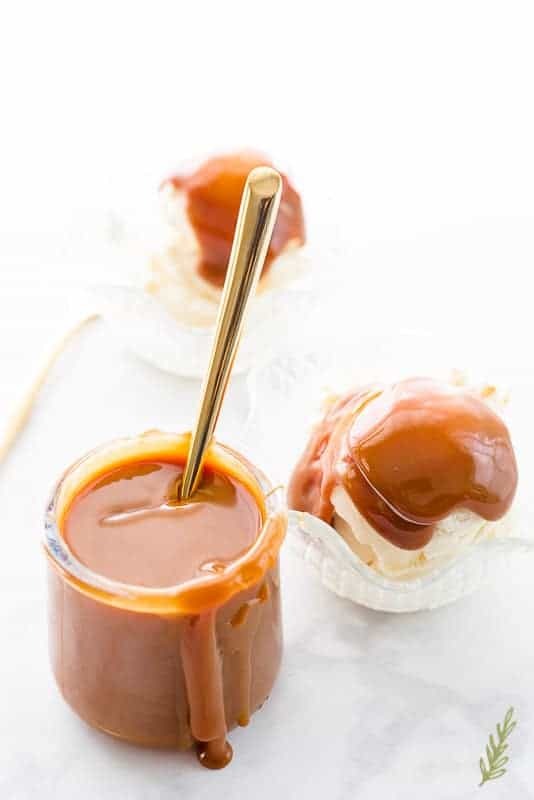 I have never heard of Cajeta before but I love the idea of the tangy goats milk in the caramel. The figs in my part of the country are a little smaller than I’m used to, but they were perfect for snacking with this cajeta! This looks and sounds heavenly. 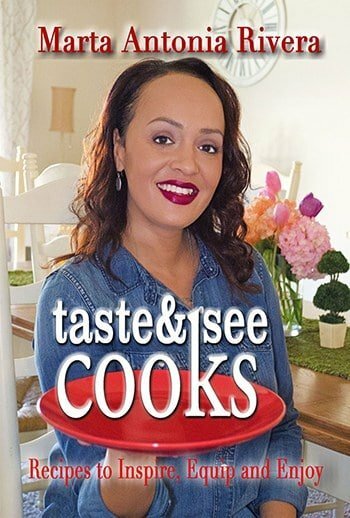 I’m so intrigued to learn the unique tastes you described. Thanks for sharing. It’s dreamy, Annette. I tried to describe it accurately, but it has such a unique taste. Oh. My. Goodness. This looks SO yummy! And your photos are so beautiful! Thank you so much, Julie! That means a lot to me. Okay, how have I never heard of this? 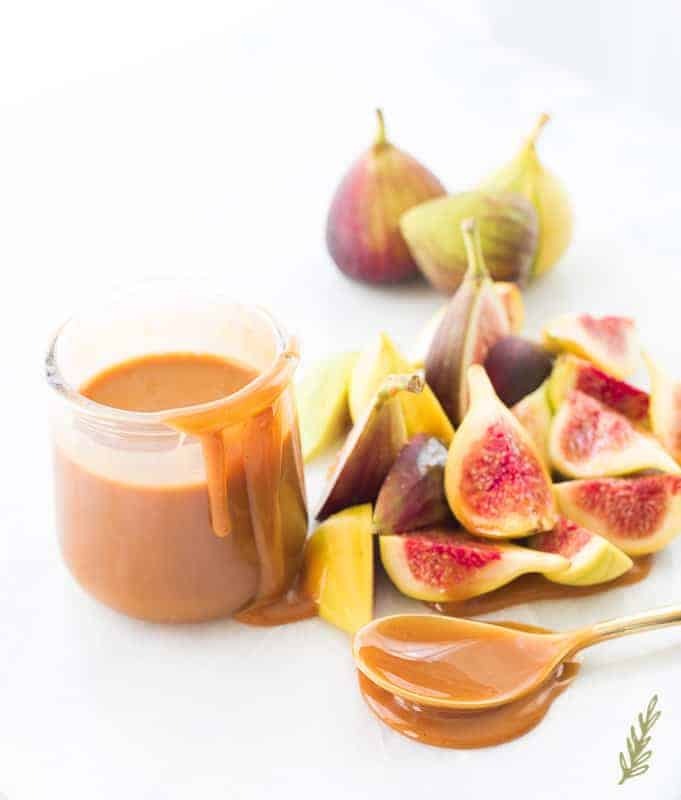 We have a fig tree in our yard and I am so tempted to pick some and whip up some of this delightful sauce. Yum! GIRL!! I WISH I had a fig tree! I had to settle for these baby ones, but a good sized fig is perfect for this! this looks so yummy! what a creative dish you made! Had never heard of this. Very interesting. IN the picture, I really enjoyed how the drink dripped off the side. Thank you, Aditi! It is a very interesting (and delicious) treat. This sounds absolutely amazing!! 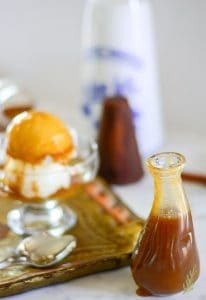 I love almost anything with goat’s milk, and creating a caramel sauce with it is brilliant. 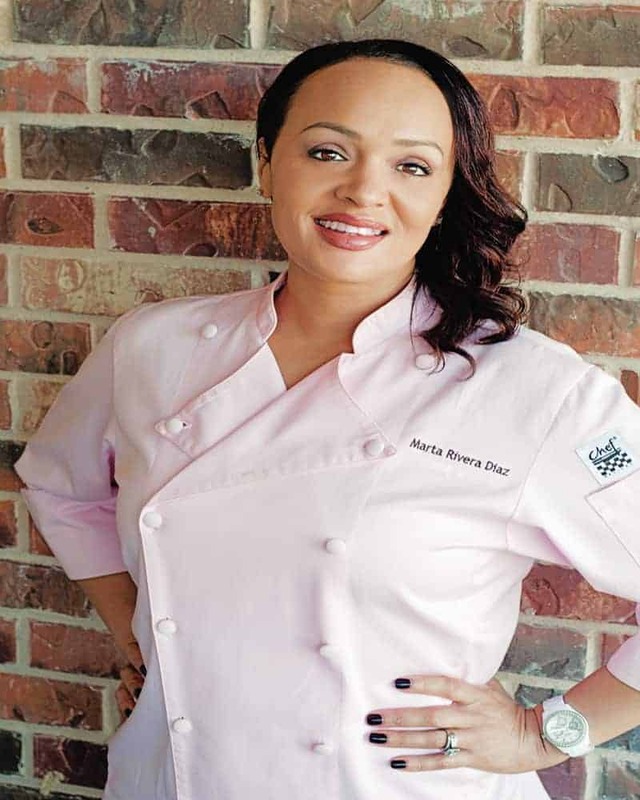 Thanks for sharing this delicious recipe! Yes!! I totally agree, Aarika! This caramel has levels of flavor that are unbelievable. I made this recipe as instructed with evaporated goat’s milk and water, but the sauce turned out with a slimy/snotty texture instead of thick and creamy. Any ideas? A separated, “snotty”, consistency is usually the result of allowing the cajeta to boil, or not cooking it down long enough. It needs to cook slowly in order to avoid curdling. 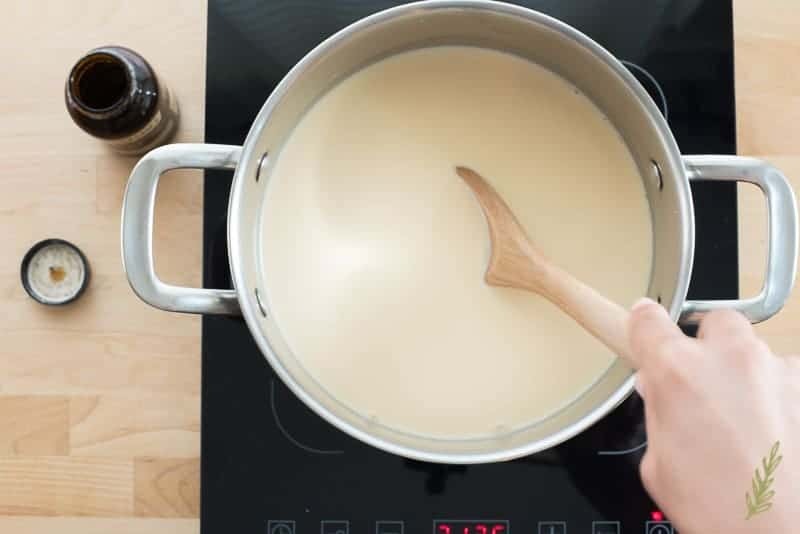 Sorry it didn’t work out for you, but allowing it to cook slowly, while stirring frequently, will produce that thick, creamy caramel. Ok, I have to try out for myself. I drank fresh goat milk for years and on several occasions made cheese and always enjoyed both. I now find myself with 12 cans of evaporated meyenburg goat milk so I searched the net for a recipe and this looks like exactly what I was looking for. I’ll try to remember to let you know how I liked it. You’ll definitely love this version if you’re a fan of goat milk, Dan!